Crown Him with Many Crowns Hymn and Activity - Perfect for Easter! Share this “Crown Him with Many Crowns” hymn and activity to help your kids remember that Jesus is the King of kings and is our great sacrificial Lamb who sits upon His throne. Singing and playing the “Crown Him with Many Crowns” hymn and activity can be a great addition to your Easter celebration whether in your home or in your children’s church. This wonderful hymn proclaims the truth that Jesus should receive all crowns of glory because He is the the One who willingly gave His life upon the cross as the one true sacrifice for our sin. I love the great hymns. I believe that it is every Christian’s duty to pass on these great songs of faith to every generation until the return of Jesus. “Crown Him with Many Crowns” is one of my favorites and I can still remember singing it when I was just a little girl. While this hymn can certainly be sung at any time, we often sing it during Easter. About 7 years ago or so, I decided to take 24 of my favorite hymns and help bring them into the 21st century to share with the children I minister to during my chapel presentations. Click HERE to get your own digital download of this song and the video of the moves for only $2.49. Here are two activities you can play with your children that goes nicely with this song. One activity is for preschoolers. One is for elementary kids. For this activity, you will want to display a big picture of Jesus on a wall. 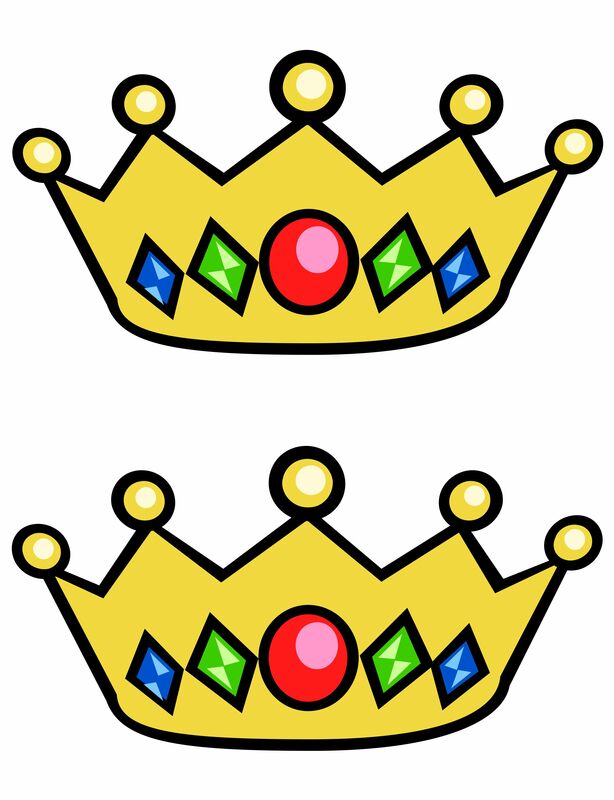 Hide these crowns around the room. 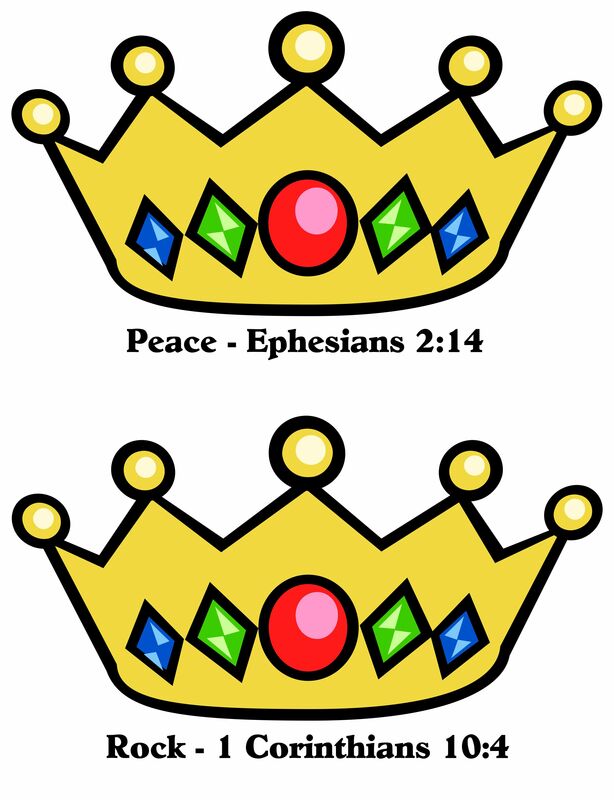 Before playing the activity, tell the kids that Jesus is a king. 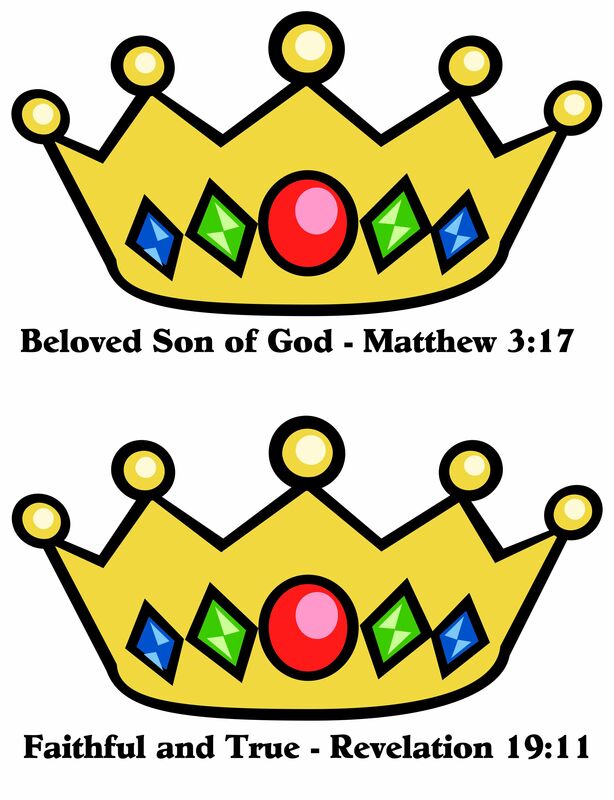 In fact, the Bible says that Jesus is the King of kings. But when Jesus came to live on earth, He set his crown kingly crown aside so that He could give His life for each one of us upon the cross. Jesus died upon the cross, but then He came back to life and sits upon His throne in heaven waiting for each one of us to ask Him to live inside of our hearts and become our king. Tell the children that you have hidden crowns around the room. 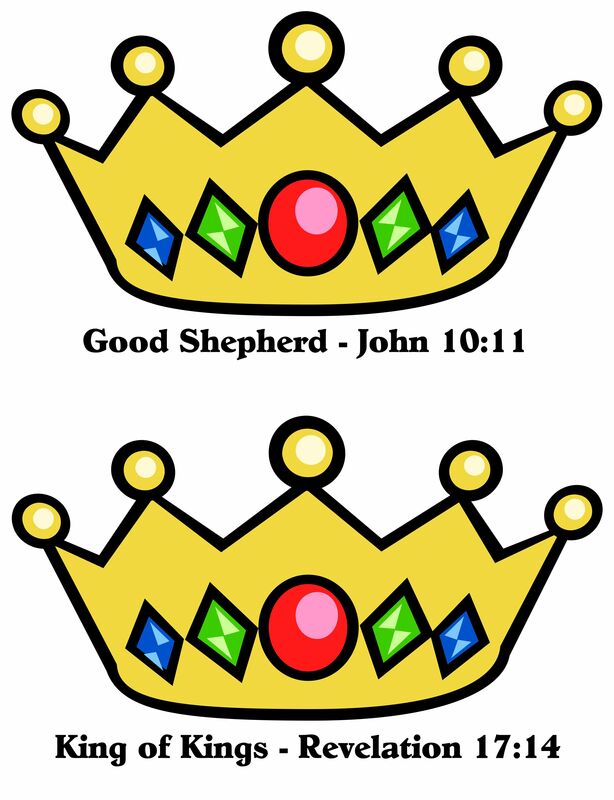 Let the children find the crowns and then let them come up one by one to place their crown on the head of Jesus. 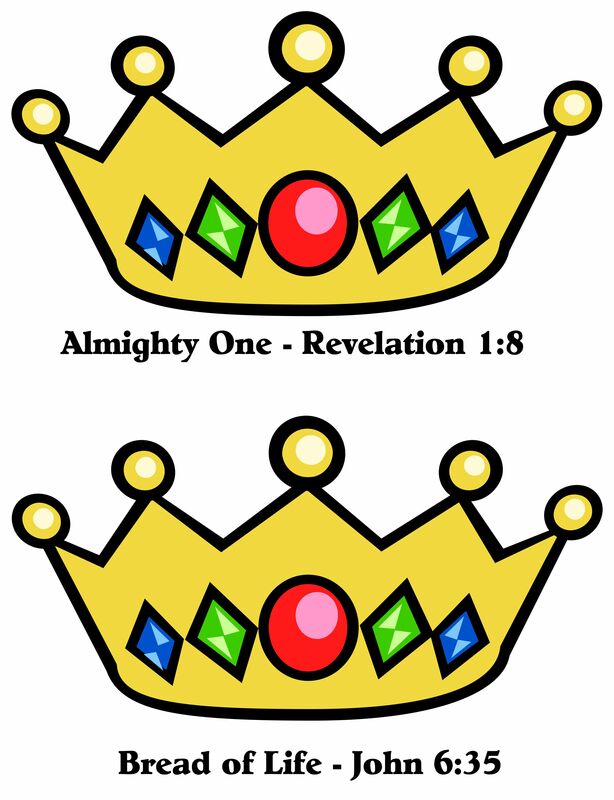 You will notice that each crown gives a name of Jesus with a Bible verse reference for that name. Hide all the crowns throughout the room. Divide your class into 2 teams. Have one person from each team come forward. On the word, “GO!” have the two kids look for a crown. The one who finds a crown first will bring it forward. Give each child a Bible to use. On the word, “GO!” have them look up the verse. The first one to find the verse earns 100 points for their team. 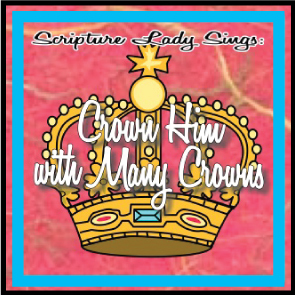 If you liked this “Crown Him with Many Crowns” hymn and activity, then sign up to receive Scripture Lady’s Free Email Kid Tips packed full with creative ideas and receive 12 FREE Bible downloadable resources to help get the kids you minister to excited about the Bible! 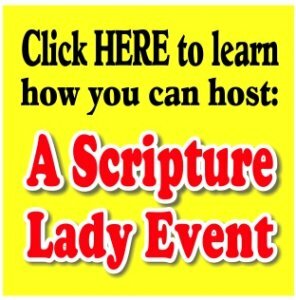 Just go to www.MyFreeBibleGames.com to fully subscribe.